Lauren and Ned are engaged. They are in love. And they have just 10 days to find Lauren’s mother (who has gone AWOL somewhere in Australia’s remote far north), reunite her parents, and pull off their dream wedding. In this delightful romance, director Wayne Blair takes viewers on a sweeping journey from the big city to the Top End of Australia, culminating in a beautiful story about returning home. Immediately after her engagement, Lauren rushes home to learn her mother has left her father and disappeared. Following a hilarious trail of evidence, she soon finds herself on a path that will not only reveal where her mother has gone but also help solve a long-standing mystery about her mother’s past. Homecomings can be stressful, and the fear of being rejected can keep someone away. 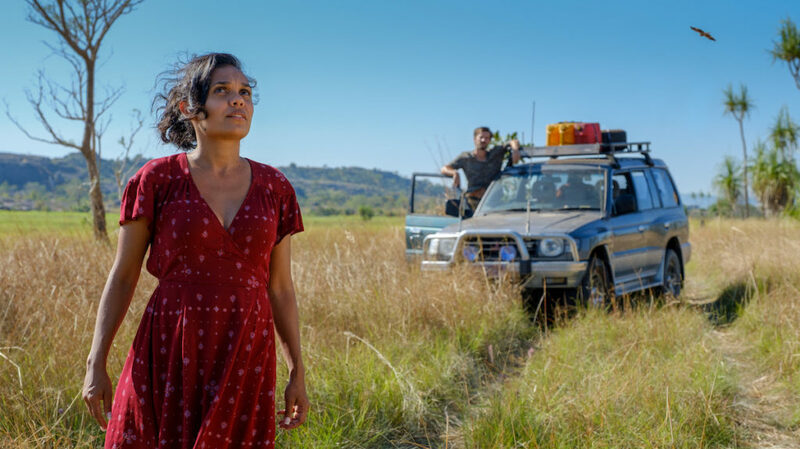 But in Top End Wedding—which was co-written by lead actress Miranda Tapsell—returning home is a bittersweet, heartfelt journey with song and dance, making you wonder why you’ve stayed away for so long.